Catch Maroon and Gold Fever during Gypsy Days. When the leaves turn, something magical happens at NSU. A fever overtakes the campus and spreads throughout the community. It’s called Gypsy Days – a weeklong celebration during NSU homecoming. 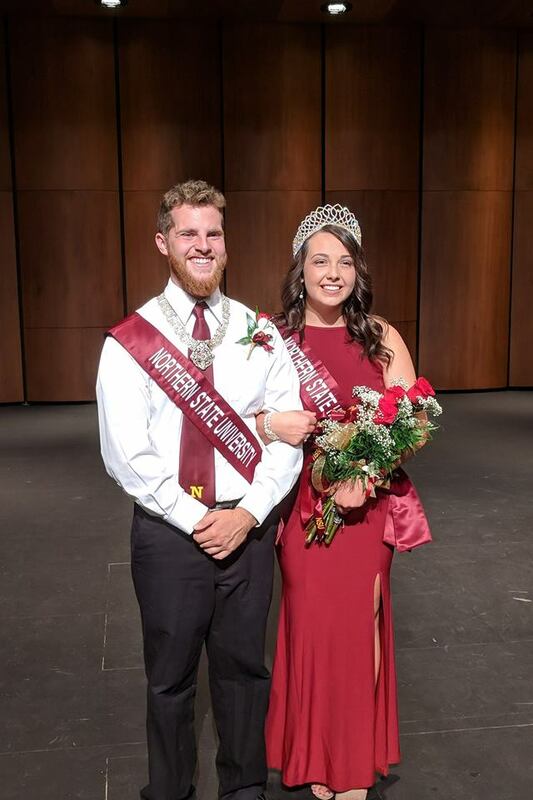 Some say it’s the highlight of the whole year as a queen and marshal are crowned and all around Aberdeen, people display their pride in the NSU Wolves. 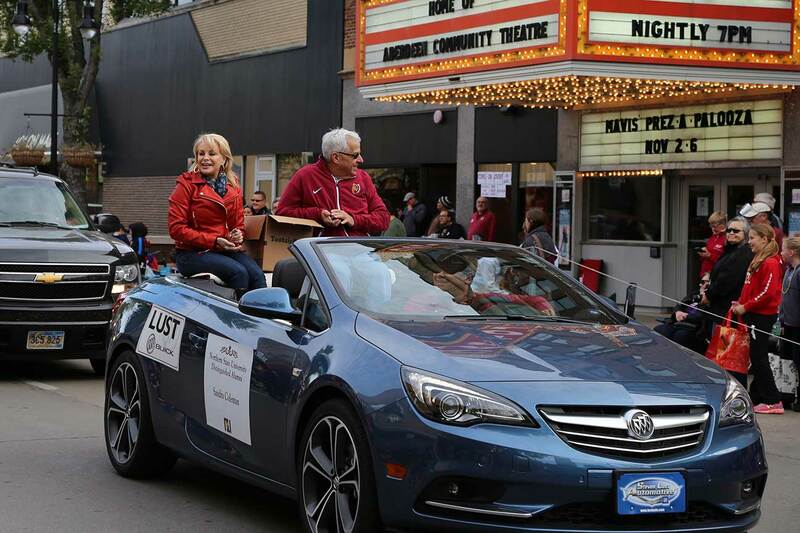 It’s a week of football, volleyball and soccer games that culminates in the annual Gypsy Day Parade – the largest parade in South Dakota. Make plans to visit NSU during Gypsy Days. Online float registration dates for the 104th annual Northern State University Gypsy Day Parade in 2019 will be announced. For more information about the parade and registration process, contact Megan Frewaldt, director of student involvement and leadership, at 605-626-3007 or gypsydays@northern.edu. Band registration dates for the 104th annual Northern State University Gypsy Day Parade in 2019 will be announced. 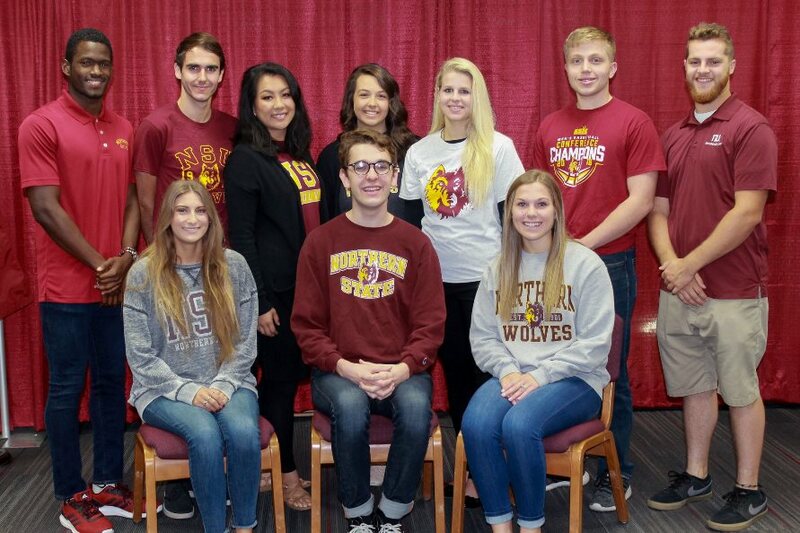 2018 Gypsy Days royalty candidates are shown, back row from left: Jarreth "Jay Jay" Martina, Itoitz Rodriguez, Annie Woodmansey, Carly Hubert, Cheri Compton, Brandon Bicek, and Jack Foy; and front row from left: Shanae Doerr, Tyler Harris and Kaylee Babcock.